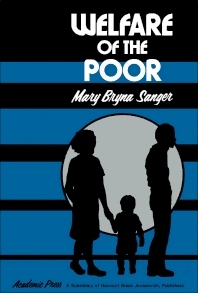 Welfare of the Poor reviews the explanatory models used to predict the relation of the poor to major institutions such as the labor market the family, the health care system, and the educational system; and the impact these relations have on the status of the poor. The monograph assesses the models that explain welfare dependency. Chapters focus on such topics as research findings on the size and stability of the welfare caseload; investigations on determinants of work and welfare patterns; and the political and methodological weaknesses of the prevailing approaches in poverty research. Social workers, sociologists, economists, and policy makers will find the book insightful.